RCB vs CSK IPL match preview: Highlights The first match of the IPL will see RCB and CSK take on each other. Check complete schedule of IPL 2019 matches – timings, venue, teams and more. Going head-to-head on 24th March 2019, here’s the IPL 2019 SRH vs KKR Match Preview. Yuzvendra Chahal is an Indian cricketer and attacking leg spinner, who is well known for his right-arm leg break googly. Member of Sunrisers Hyderabad IPL 2019 team, Rashid Khan Arman, an Afghan cricketer, is commonly known as Rashid Khan. 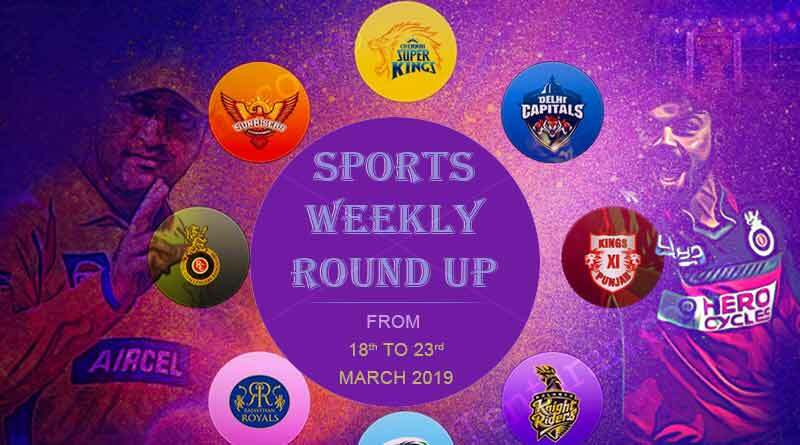 Stay with us for regular Sports updates and to read more articles like Sports weekly round up from 18th to 23rd March 2019, do follow us on Facebook, Twitter, and Instagram.